and production of various boards such as Plastic Ball Grid Array(PBGA) boards. 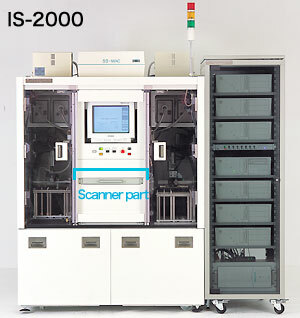 For detecting foreign materials, discoloration and unfixed resists on metallic areas, IS-2000 provides one-pass inspection on both sides of CSP/BGA rigid substrates with the tact time in 10 sec or less. S-2050C automatically enlarges defect images for operator to recheck them on the screen. 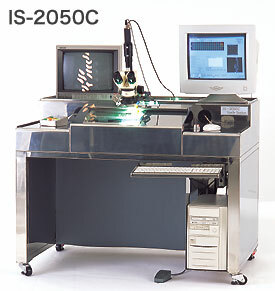 Incorporating advanced technology, IS-2000S inspects resist and metallic areas on PBGA boards. Fine cleaners and multiple cameras make IS-4000 inspect 610*610mm large boards at an extremely high speed.